Introduced in 2007, and still on sale new at the time of writing, the Mazda2 is the oft-overlooked supermini from the Japanese firm. Introduced in 2007, and still on sale new at the time of writing, the Mazda2 is the oft-overlooked supermini from the Japanese firm. It competes against the usual suspects in this marketplace, including the Toyota Yaris, Opel Corsa and Ford Fiesta; indeed, it shares a good deal of its DNA with that small Ford. Always a fine-looking hatchback, even the earliest 2007 cars look fresh today. Choice is pretty limited in Ireland. The 2 has been available with other powerplants other than the 1.3-litre petrol, but they’re extremely rare in the classifieds. You might find a 1.4-litre diesel or a 1.5-litre petrol if you’re determined, but you’ll struggle to source anything other than the 1.3. Offered new in either three- or five-door body styles it’s the five-door that makes up the bulk of sales, the three-door being a relatively rare sight on the road and in the used car classifieds. The trim level mix includes Comfort, Sport and Sensu, Comfort getting the basics including remote central locking, front electric windows, alloy wheels and an aux-in jack for MP3 players and iPods, but lacking air conditioning. Sport and Sensu versions add chilled air to the Comfort’s specification, while the rear seat also offers a 60/40 split -fold option on both - over the Comfort’s more basic folding bench set-up. Even though it’s been around since 2007 the Mazda2 still looks fresh, while the interior is neat and spacious given its compact dimensions, and the boot is a decent size, too. With its underpinnings derived from the Ford Fiesta it’s also among the best cars in its class to drive, with quick and accurate steering and a nice balance of a comfortable ride and good handling. The 1.3-litre engine isn’t particularly quick on paper, but it feels more enthusiastic than its relatively lacklustre performance figures promise, while economy is decent with a combined consumption figure of 5.0 litres/100km. If you can live without air conditioning and that split folding rear seat then a Comfort model will do just fine. However, the price differential used isn’t so big to be a hurdle so a Sport or Sensu are perhaps worth the slight extra they might command. 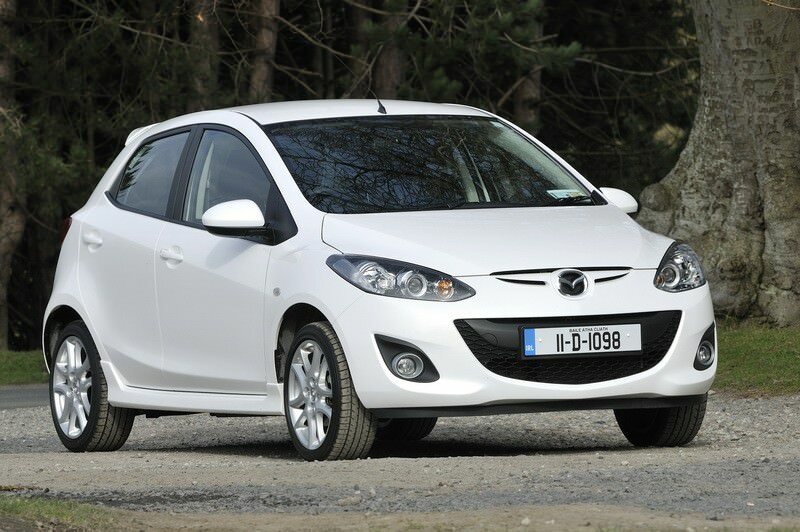 Though the Mazda2 is not a supermini that immediately springs to mind when looking for a small car that shouldn’t mean you don’t consider the Mazda2 against its more common rivals. Indeed, that’s part of its appeal, along with its enjoyable to drive nature and fine standard equipment on all versions.